Typically, I am quite wary of books claiming to be “manifestos.” My usual view of such texts is either that they are overconfident about their ability to rewrite a discipline or a discourse, or that they are being positioned as unique when they are really just summaries of the current field. In the first case, the book attempts to do too much constructive work, in the second case, the book fails to do much that is constructive at all. Kevin Schilbrack’s book avoids both of these problematic temptations. Although claiming to be a “manifesto,” the book actually lives up to that title. Importantly, though, we must also attend to the rest of the title “philosophy and the study of religions,” because subtly presented therein lies the specific way in which this book finds traction in the contemporary philosophical discourse. Namely, this book is not simply about rethinking philosophy of religion, but instead a call for philosophical approaches to the academic study of religions. For those not familiar with what is sometimes termed “the academic study of religion,” this often serves as a stand-in for religious studies, but with a more precise designation of the scholarly practices occurring within the field. For those self-identifying as operating within the academic study of religion, which, it should be noted, is necessarily a multidisciplinary discourse, there is nothing immediately “religious” about what they are doing. Instead, they are scholars who may operate according to a variety of methodologies, political orientations, disciplinary trainings, and religious convictions, but what unites them is the object of their scholarly attention: this thing called “religion.” For Schilbrack, his concern is to bring a philosophical, and more specifically phenomenological (in Merleau-Ponty’s sense, rather than in Eliade’s) focus to such work. For some philosophers of religion, the need for such a text, much less a “manifesto” contending for it, will undoubtedly seem odd given the much-lauded return of philosophy of religion to prominence over the last several decades. However, Schilbrack’s text helps us all to see that for too long philosophy of religion has failed to pay enough attention to the critical questions that attend to the very unifying object of its own discourse. Simply put, even if the vagueness of its object make philosophy of religion more like philosophy of mind than like philosophy of science, unlike philosophers of mind, philosophers of religion very rarely spend much time asking the fundamental question: “What do we mean by ‘religion’?” Rather, philosophy of religion is often defined by what Schilbrack rightly understands to be a narrowness in its specifically theistic (and usually Christian) assumptions. Instead of seeing terms like “faith,” “God,” and “religion” as complicated signifiers that should challenge any quick claims to stability within philosophical discourse, too many philosophers of religion operate as if they can assume that religion is necessarily concerned with belief in God, and moreover, that the God about whom we are discussing is the God of classical theism. To this narrowness, or perhaps owing to it, Schilbrack adds the critiques of disciplinary insularity (i.e., philosophy of religion is rarely engaged with the broader research occurring in the academic study of religions), and intellectual cognitivism (i.e., religion is really about belief to the exclusion of practice). These three challenges to what Schilbrack terms “traditional” philosophy of religion are serious obstacles to the continued flourishing of the field. Expressed informally, we might say that Schilbrack calls for philosophy of religion to be careful about its central category of religion, conversationally engaged with other scholars concerned about that category, and reflective about the ways in which people who self-describe as religious actually live their lives. There very well may be pressure points in Schilbrack’s account worthy of scholarly scrutiny, but to dismiss his challenges as fundamentally misguided is to fail to appreciate the lived reality that philosophy of religion claims to be concerned with in the first place. It might be that Jonathan Z. Smith is right about religion being nothing more than an invention of the scholar’s study, but even if this is the case, then philosophy of religion should be critically reflective about what follows from this fact. As I see it, Smith is not (entirely) right in his account and Schilbrack’s own constructive view of religion(s) and the study of it makes great strides toward raising what we might term the “existential consciousness” of philosophical inquiry in this area. Ultimately, Schilbrack’s positive account of religion is not deflationary, but nonetheless profoundly contextualist, and his account of philosophy of religion is one that appreciates the important virtues of epistemic humility and dialogical hospitality within what Wesley Wildman has suggested is a multidisciplinary and comparative field of study. Even though this book first appeared in 2014, it remains worthy of serious intellectual attention because even where it might be wide of the mark, it misses in ways that help the rest of us working in the field to improve our aim. This book truly is a “manifesto” in the best sense: it not only calls for what should be the case, but offers practical suggestions for how to get there. This symposium on Schilbrack’s book consists of essays from Nathan Eric Dickman, Jason Blum, Sonam Kachru, and Stephen Dawson. These scholars all approach the text from different directions and provide models of what philosophical engagement with the academic study of religions might involve. Schilbrack’s replies are, as is typical of his work, argumentatively rigorous, linguistically clear, conceptually precise, and especially charitable to his critics. For those of us committed to the discipline of philosophy of religion, especially as it is (or is not?) relevant to the field of religious studies, we find ourselves in a precarious position. Without loyalty to this or that religious tradition, religious studies is an autonomous interdisciplinary field in the humanities. From literary criticism of tradition-defining texts to economic analysis of religious institutions to neuroscientific explanations of purported mystical experiences, the field of religious studies is, in Ann Taves’s terms, a “raider” field, where scholars raid standard academic disciplines for relevant methods and theories to aid in inquiries about “religion” (Taves 2011, p. 289). Unlike standard disciplines, field studies are defined less by method and more by principle phenomena at stake. However, cutting-edge religious studies scholarship over the last forty years has raised questions about whether such a phenomenon even exists and about the complicity of the rhetoric of “religion” with colonial hegemony (see Tomoko Masuzawa 2005). 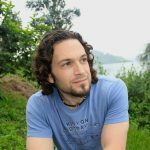 Let me begin with a word of thanks to Schilbrack for this work critiquing the hegemony of “traditional theism”1 over philosophy of religion and advocating for relevance to religious studies. His text is timely, along with the work of Timothy Knepper (2013, 2014), Thomas Lewis (2016), and others. I find the work of many self-identifying philosophers of religion troubling. 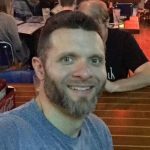 With his text (and the others), I find solidarity in coming to terms with this trouble and advocating disciplinary change. In my own contributions to the field, I also endeavor to be inclusive and more fitting with religious studies. Given there are already numerous engagements with his book (such as Andrew Irvine 2014, and Mikel Burley, Luke Fox, William Wood, and Schilbrack 2015), I want to get right to a few issues. I will focus on two sets of topics. The first concerns audience and application. Who is the text really for? Many philosophers of religion should appropriate its lessons, but I suspect they will not. Also, while the discipline of philosophy of religion needs to recognize religious diversity, needs to widen its scope of inquiry beyond belief, and needs to stay lucid to the goings-on of religious studies, what are some ways this might play out in research or syllabi? The second concerns unmediated experience and phenomenology. I take issue with the reading of Immanuel Kant’s “noumena” that his text takes. An alternative reading might ground a critique of the text’s account of “unmediated” experience. In light of this, I want to emphasize phenomenology as a philosophy in contrast to it as a method of description in religious studies. I think this will refine layers of evaluation in religious studies. Besides friendly audiences of readers like me and a student audience, Schilbrack’s preface seems to aim at two primary targets. The first audience are representatives of “traditional philosophy of religion” (chs. 1–3).2 The second audience represents ideological critique within religious studies, whom he labels “abolitionists” (chs. 4–6). His preface emphasizes these two audiences do not represent sides in an already ongoing argument. That would presuppose they even speak with one another! The abolitionists do not take “theism policers” seriously because philosophy of religion seems merely to be religious apologetics (in the classroom, no less!—see Schilbrack 2014, p. 197). Traditional philosophers of religion do not take abolitionists seriously, seeing religious studies either at best as cultural anthropology or at worst as bad philosophy. I admire Schilbrack’s diplomatic efforts to reason with these audiences, to convince both to collaborate for a better future for religious studies and the philosophy of religion. So I am curious—does it get tiring advocating for something so obvious to people who seem to me to be spoilsports? Why not let theism policers have “philosophy of religion” as a fig leaf for hiding their anxiety over their religion from themselves? Why not let abolitionists shepherd “traditional philosophy of religion” out of the academy and into seminaries, and call what we are doing something else? I suspect it is in part because there is an honorable intellectual history to these terms, and by removing the theistic distortion we give the terms back their proper prestige. I am not confident that reasoning will motivate change or that pointing out a duty will incentivize action, though.6 As Schilbrack notes, some traditional philosophers of religion seem to recognize and agree with his proposal, yet point out that no one can accomplish it—missing the point about rehabilitating philosophy of religion as a whole to its proper comprehensive meaning (Schilbrack 2014, pp. 12–13). Do we need to coax and placate current philosophers of religion who express fear about getting out of their theistic element? Schilbrack seems to reassure them that there is nothing intrinsically wrong with one person solely asking philosophical questions of one’s own religion—as long as she recognizes an entire department doing so is a one-sided or incomplete coverage of the field (ibid., p. 12). If we are now called to be liberated from every deep ground in our past, does this not make possible a new religious studies which will be free of every echo [or pathology] of nihilism, and free precisely because it will erase and dissolve all ultimate grounds, grounds which now can be known to be illusory, and known as such by a newly liberated religious studies? (Altizer 1994, p. 1017, my brackets). Or, as Karl Marx put it, “The criticism of religion is the prerequisite of all criticism” (Marx 2002, p. 171). Is there a unique set of virtues and dispositions that can only be realized in religious studies as Schilbrack envisions the discipline? I ask this because I have been working on ways that religious studies may relate to interfaith efforts (see Patel 2013). Theism policers seem to caricature religious studies as intrinsically secularist, often reducing the field to the “social sciences” or “nontheological studies” (see, for examples, John Milbank 2006 and Paul Griffiths 2006). Religious studies is one among many fields and disciplines in the humanities, and is no more “secular” than English or foreign language programs. Indeed, as Schilbrack lays out, “secularism” is itself a subject matter uniquely available to religious studies (Schilbrack 2014, p. 139 and p. 146). That is, religious studies is not intrinsically “secular,” but instead is the purview by which “secularization” is available for inquiry. I raise this because, in relation to interfaith projects, is religious studies one among the many “faiths”? That is, if—as theism policers seem to want to have it—religious studies represents secularism (or at least John Hick’s “pluralism”), then it would seem to be among demographic options for self-identification. But isn’t religious studies under Schilbrack’s program always a second-order discourse, in comparison with the first-order discourses of religions or irreligions (such as humanism, naturalism, etc.)? I ask this because I think it is relevant with regard to the question of evaluation in religious studies. Kant seems to be saying something critical of naïve dualism. He asks, “The question, therefore, is whether, besides the empirical use of the understanding (even in the Newtonian view of the constitution of the world), a [transcendent] use of it is possible that has to do with the noumenon as an object; and this question we have answered negatively” (Kant 2007, p. 262, my brackets). It is not merely that coherent thought must refer to nonnoumenal reality; reality just is phenomenal appearances. So what are noumena for the understanding, then, under the critique of reason? They are, as David E. Klemm once explained to me in graduate school, just categories when they are not operating, when they are not being applied (see Klemm and William Schweiker 2008, p. 49; and Robert Scharlemann 1981, pp. 2–5).14 This culminates in his rejection of the ideas of pure reason—the ideas of the soul, of the world, and of a god are illusions of pure reasoning. They are solely noumenal—not in the sense of a realm of existing things-in-themselves beyond appearances but in the sense of the faculty of understanding in a problematic state of categorization. I have tried to develop such a reading of fundamental “categories” and “concepts” in terms of predication (see Dickman 2016a, p. 263). I take this from Kant’s lead. Kant writes, “I should like to call these pure but derivative concepts of the understanding the predicables of pure understanding, in contrast to the predicaments” (Kant 2007, p. 106, my emphasis). I would rather reverse these terms (see Dickman 2016b, n22). The categories, as the transcendental conditions for synthesizing specific objects from the manifold flux of appearances, are predicables—in the technical sense of being that of which one is able to predicate in a judgment or complete thought. That is, the predicables function to isolate specific objects as available for identification as subjects of sentences. Derivative concepts, pure or empirical, are properly predicates—literally, the predicaments or situations in which subjects are placed (or found) in judgments or complete thoughts. There is a point to this excursus into exegesis. There seems to be a route open for a (nonstandard) Kantian approach to “unmediated” experience. As Schilbrack emphasizes, the metaphor of mediation imposes an artificial dualism on our thinking, creating a wedge between mere appearances and things as they really are. Accordingy, he advances a plausible account of experience based in Kevin Hector’s work that is “noninferential” (Schilbrack 2014, p. 164), an account aimed at overcoming the pernicious metaphor of a mediating grid between mind and world (ibid., p. 166). Hector holds that “in the usual case one’s judgments are immediate, noninferential responses to one’s environment rather than the product of explicit deliberation” (ibid., p. 164). I want to emphasize here a distinction between “predication” and “inference.” I have elsewhere worked up an account of perspectival predication as it fits with “direct experience” (see Dickman 2016a, p. 266). There, I appeal to resources in continental philosophy and Buddhist thought on language to challenge a standard picture of language as Post-It note labels (mind-dependent entities) that we stick on objects (mind-independent entities). Instead, language is—in Buddhist parlance—“dependently emergent” (Dickman 2016a, p. 269). And direct experience, inasmuch as it is understandable, just is thinking complete thoughts. A predicate situates a subject (both the sentential subject and the existential subject) such that the experience can be what it is—such as “this” being an experience of a “beautiful sunset” or “that” being an experience of a “great conversation.” Inferences, on the other hand, are not the same as predications. Inferences involve moving from one judgment or complete thought to another. Predication is constitutive of a single complete thought. My wager is that this can navigate between the “reality out there” susceptible to modernist critique and the “reality in here” susceptible to “postmodern” critiques. It is rooted in something like Thich’s interpretation of interdependence as “interbeing” (Dickman 2016a, p. 61). On these warrants, I advocate thinking of mediation not in the dualistic sense of a screen between mind and world but in the aesthetic sense of media or medium within which realization (or making real) takes place. Language is the concrete medium in which predicates are realized in making a particular experience what it is, where concepts (from predicables to predicaments) are the rules for operating within the flux of phenomena.15 Is unmediated experience absent of predication or just absent of inference? I think it is helpful to reserve “ultimate concern” for Tillich’s definition of “faith,” not “religion.” Ultimate concern is an existential condition. So while ultimate concern is universal, it is not clear that religion is. Ultimate concern provides the principle for distinguishing between living symbols (including myths and rituals) and operative concepts (from predicables to predicaments) (see Tillich 1957, 47–62). For Tillich, the word “god” is a symbol only if it is used within the condition of ultimate concern. Otherwise, “god” is just a concept. What seems to distinguish whether a set of beliefs and narratives, along with a set of practices and institutions, is “religious” is if it includes symbols. One can tell if a phrase is symbolic if it is applied beyond the conditions of space and time—i.e., when they reach the level of Kant’s illusions or ideas of pure reason. One of Tillich’s illustrations is the seeming concept of a “first cause” (Tillich 1973, p. 196 and pp. 236–38). However much this phrase gets treated as a concept in traditional philosophy of religion, for Tillich it is paradigmatic of symbolism and should only be evaluated via criteria appropriate to symbols. So it seems there is room in Tillich for studying secularism by focusing on concepts as they are distinct from symbols. There seems to be room for multiple religious belonging, too, in that someone might use multiple symbols from differing contexts as adequate for expressing and experiencing their ultimate concern. Yet, the truth conditions for symbols are relevantly distinct from the truth conditions for concepts. Are superempirical realities disclosed (made knowable) through concepts or solely through symbols? Both symbols and concepts are predicates, though (see Scharlemann 1981, pp. 157–80). And this helps explain why, with Tillich, we can see “traditional theism” is not only problematic in the academy but also semantically vacuous. For Tillich, arguments about the existence of god are meaningless (Tillich 1957, p. 53). I explain this as treating a predicate as if it were a proper subject (see Dickman 2016b, p. 5 of 21). Does “god” exist? Which god, exactly? Vishnu? YHWH? Marduk? These are proper names identifying a proper subject. Al Rahmin, the Arabic superlative for “The Most Merciful [One]” is one among the ninety-nine names for the god in Islam—yet “Allah” (merely the Arabic word for “god”) is often used in English as if it were a proper name (see Schilbrack 2014, p. 169; Cf. Sumbul Ali-Karamali 2008, pp. 35–36). I highlight this because the study of religions is analogous to the study of foreign languages. How can one acquire the appropriate use of predicates without fluency in the language? What a Tillichian approach to symbols seems to allow is an alternative account of direct experience of superempirical reality. In this approach, the “ultimate” is only expressible and able to be experienced symbolically. Symbols are the concretization necessary to make superempirical realities available for experience, and these might be regarded as the necessary postulates of embodied ritual reason (see Schilbrack 2014, p. 48). I recognize “phenomenology” has historically unfolded as a method for description of subjective appearances in fields like cultural studies and religious studies.18 Yet phenomenology is not primarily a method for charitable description. Perhaps religious studies scholars are similarly narrow to traditional theists, in that they use phenomenology for the first two reductions—as with Rudolf Otto—but neglect the third or transcendental reduction. What Edmund Husserl’s transcendental reduction seems to provide—like Kant’s first critique and Martin Heidegger’s ontology—are the necessary conditions of the possibility for intelligibility of any particular metaphysic (deliberately in the singular, as one among many competing metaphysics). I think this is important to keep in mind when moving into questions of evaluation because transcendental conditions seem to provide criteria by which to assess whether a theory of religion gets at the way things are or whether a specific religion gets at the way things are (see Schilbrack 2014, p. 170). It seems to me that if we are going to say that a religious claim can “get things wrong,” we will need to appeal to a set of criteria transcending yet adhering to that particular religion’s (implicit or explicit) metaphysic. That is, we need to distinguish between transcendental conditions (or, if we prefer a Heideggerian formulation, ontological conditions) and superempirical realities (see Schilbrack 2014, pp. 134–36, 148, 152, 161, and 169). For the sake of clarification, let’s reserve metaphysics for referring to reality in general immanent to a symbolic and conceptual order. And let’s reserve transcendental conditions or ontology for referring to the necessary principles constitutive for any particular metaphysic whatsoever. That is, there are “real things” immanent to a symbolic order, yet there are also ontological conditions for any “thing” whatsoever. It seems to me that it is through ontology or transcendental critique that we can evaluate whether a metaphysic gets reality right or wrong, whether an institution is really just or not, whether a religious aesthetic really captures beauty or not, and whether a religious ethic is really good or not. (And it is through the same ontology or transcendental critique that we can evaluate competing theories in religious studies.) This is because superempirical realities are not transcendental conditions of possibility. Superempirical realities do not seem to be ontological conditions for the possibility of a god or karma. Rather, a god and karma are both superempirical realities made possible by transcendental conditions in conjunction with symbolic predication. I try to approach these terms this way: “god” or “karma” might be predicated of a proper sentential subject, and may be experienced as alethically true (see Scharlemann 1981, pp. 78–91). The predicate “Christ” or “messiah” may fit for the historical person, Jesus, for a Christian metaphysic. The predicate “god” might fit for the figure YHWH within a Jewish metaphysic. The predicate “Buddha” may fit for the historical person, Gautama, within a Buddhist’s metaphysic. The predicate “Messenger” may fit for the historical person, Muhammad, within a Muslim’s metaphysic. Through these symbolic predications, these subjects might be constructed as superempirical realities. These truths and realities seem immanent to particular symbolic and conceptual orders, and it would take learning multiple languages to navigate these many immanent truths well. But it seems that (philosophical) phenomenology and philosophical hermeneutics can fittingly address broader questions of any truth conditions whatsoever, providing criteria for determining whether or not a religion gets things wrong. This is why I do not think religious studies is one among many seats at the interfaith table, and that theological critiques of religious studies as intrinsically secular gets things wrong. What is the ultimate perspective from which to evaluate? In other words, is religious studies the subject matter of “theology” (as this term has come to be used in religious studies as a catch-all for being religious as opposed to studying about religion) or is theology the subject matter of religious studies? Inasmuch as religious studies is genuinely multidisciplinary, I think a “theology of religious studies” is just as fascinating as a “sociology of religious studies” (or a literary criticism of philosophy or a psychology of philosophers). These reflexive studies are fascinating. Nevertheless, transcendental philosophies like Kant’s or Heidegger’s provide the fundamental conditions for the possibility of any instance of reflexivity whatsoever. I don’t think such appeals to transcendental or ontological philosophy are reducible to a “convergent pluralism” as Hick or Tillich might have it. Convergent pluralism remains merely metaphysical rather than ontological or transcendental. That is, “god” and the “dao,” etc., are not merely culturally specific symbols for transcendental apperception or “the Transcendental I.” That would be to confuse metaphysics with transcendental conditions of possibility. I think this avoids “convergent pluralism” because transcendental conditions of possibility are not realities. They do not exist; they are never real, but are realized only in this or that specific reality. Ali-Karamali, Sumbul. 2008. The Muslim Next Door: The Qur’an, the Media, and That Veil Thing. Ashland: White Cloud Press. Allison, Henry E. 1983. Kant’s Transcendental Idealism: An Interpretation and Defense. New Haven: Yale University Press. Altizer, Thomas J. J. 1994. “The Challenge of Nihilism.” Journal of the American Academy of Religion 62, no. 4: 1013–22. Anderson, Pamela Sue. 1998. Feminist Philosophy of Religion: Rationality and Myths of Religious Belief. Oxford: Wiley Blackwell. Burley, Mikel, Luke Fox, William Wood, and Kevin Schilbrack. 2015. “Review Essay Roundtable.” Journal of the American Academy of Religion 83 no. 1: 236–60. Cherry, Conrad, Betty A. DeBerg, and Amanda Porterfield. 2001. Religion on Campus: What Religion Really Means to Today’s Undergraduates. Chapel Hill: University of North Carolina Press. Dickman, Nathan Eric. 2015. “Ethical Understanding: The Priority of Questioning in Interreligious Dialogue.” Listening: Journal of Communication Ethics, Religion, and Culture 50, no. 2: 92–105. Dickman, Nathan Eric. 2016a. “Linguistically Mediated Liberation: Freedom and Limits of Understanding in Thich Nhat Hanh and Hans-Georg Gadamer.” The Humanistic Psychologist 44, no. 3: 256–79. Dickman, Nathan Eric. 2016b. “Transcendence Un-Extra-Ordinaire: Bringing the Atheistic I Down to Earth.” Religions. 8, no. 1. http://home/163979.cloudwaysapps.com/esbfrbwtsm/public_html.mdpi.com/2077-1444/8/1/4. Fingarette, Herbert. 1972. Confucius: The Secular as the Sacred. Long Grove, IL: Waveland Press. Flood, Gavin. 1996. An Introduction to Hinduism. New York: Cambridge University Press. Griffiths, Paul. 2006. “On the Future of the Study of Religion in the Academy.” Journal of the American Academy of Religion 74, no. 1: 66–74. Hick, John. 1983. “On Conflicting Religious Truth-Claims.” Religious Studies 19, no. 4: 485–91. Ibn Rushd/Averroes. 1961. On the Harmony of Religion and Philosophy. Trans. G. Hourani. Gibb Memorial Series. Oxford, UK: OxbowBooks. Irvine, Andrew. 2014. “Introduction: a Symposium on Kevin Schilbrack’s Philosophy and the Study of Religions: A Manifesto.” Sophia: International Journal of Philosophy and Traditions 53, no. 3: 363–65. Kant, Immanuel. 1993. Grounding for the Metaphysics of Morals. 3rd ed. Trans. James W. Ellington. Indianapolis: Hackett. Kant, Immanuel. 2007. Critique of Pure Reason. Trans. Marcus Weigelt and Max Muller. London: Penguin Classics. Original 1781. Klemm, David E., and Günter Zöller, eds. 1997. Figuring the Self: Subject, Absolute, and Others in Classical German Philosophy. Albany: State University of New York Press. Klemm, David E., and William Schweiker. 2008. Religion and the Human Future: An Essay on Theological Humanism. Malden, MA: Wiley Blackwell. Knepper, Timothy. 2013. The Ends of Philosophy of Religion: Terminus and Telos. New York: Palgrave Macmillan. Knepper, Timothy. 2014. “The End of Philosophy of Religion?” Journal of the American Academy of Religion 82, no. 1: 120–49. Lewis, Thomas. 2016. Why Philosophy Matters for the Study of Religion—and Vice Versa. Oxford: Oxford University Press. Loftus, John W. 2016. Unapologetic: Why Philosophy of Religion Must End. Durham, NC: Pitchstone. Lombrozo, Tania. 2013. “Name Five Women in Philosophy. Bet You Can’t.” National Public Radio. June 17. http://home/163979.cloudwaysapps.com/esbfrbwtsm/public_html.npr.org/sections/13.7/2013/06/17/192523112/name-ten-women-in-philosophy-bet-you-can-t.
Marx, Karl. 2002. Marx on Religion. Ed. John Raines. Philadelphia: Temple University Press. Masuzawa, Tomoko. The Invention of World Religions: Or, How European Universalism Was Preserved in the Language of Pluralism. Chicago: University of Chicago Press. Milbank, John. 2006. Theology and Social Theory: Beyond Secular Reason. 2nd ed. Malden, MA: Wiley Blackwell. Müller, Max. 1873. Introduction to the Science of Religion. London: Longman, Green. Patel, Eboo. 2013. Sacred Ground: Pluralism, Prejudice, and the Promise of America. Boston: Beacon Press. Patel, Eboo. 2015. “In Promoting Campus Diversity, Don’t Dismiss Religion.” The Chronicle for Higher Education. March 11. http://home/163979.cloudwaysapps.com/esbfrbwtsm/public_html.chronicle.com/article/In-Promoting-Campus-Diversity/228427. Ricoeur, Paul. 1976. Interpretation Theory: Discourse and the Surplus of Meaning. Fort Worth: Texas Christian University Press. Scharlemann, Robert. 1981. The Being of God: Theology and the Experience of Truth. New York: Seabury Press. Schilbrack, Kevin. 2004. “The Next Pluralistic Philosophy of Religions.” Presentation to the Society for Philosophy of Religion. March 4. Schilbrack, Kevin. 2014. Philosophy and the Study of Religions: A Manifesto. Malden, MA: Wiley Blackwell. Strauss, Leo. 1988. Persecution and the Art of Writing. Chicago: University of Chicago Press. Taves, Ann. 2011. “2010 Presidential Address: ‘Religion’ in the Humanities and the Humanities in the University.” Journal of the American Academy of Religion 79, no. 2: 287–314. Tillich, Paul. 1957. Dynamics of Faith. New York: HarperCollins. Tillich, Paul. 1973. Systematic Theology. Vol. 1. Chicago: University of Chicago Press. Zacharias, Ravi. 2008. New Birth or Rebirth? Jesus Talks with Krishna. Colorado Springs: Multnomah Books. Because philosophy of religion traditionally seeks to ask and answer normative questions about peoples’ religious lives—questions about the truth of religious beliefs and the morality of religious practices, for example—this discipline is arguably the most controversial branch of the academic study of religion. My book makes the task of philosophy of religion even more complicated by arguing that the discipline should expand to include religions other than theistic ones, aspects of religion other than their doctrines, and reflexive attention to the discipline’s own conceptual tools. It is therefore a pleasure now to engage with Eric Dickman, Jason Blum, Sonam Kachru, and Stephen Dawson, each of whom understands that expansive vision and then raises the kind of future-oriented, constructive questions that need to be asked if philosophy of religion is to expand in these directions and live up to its name. 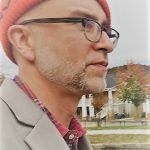 Eric Dickman is right that my book offers both a critique of the narrowness of traditional philosophy of religion and philosophical interventions in several issues in theorizing religion such as how to define “religion,” the cognitive elements in religious practice, and the relation between understanding and explaining. Let’s call philosophical work on the assumptions operating in the academic study of religion: “philosophy of religious studies.” Given the divisions between programs in philosophy and those in religious studies (as well as the persistent cultural divide even between philosophers of religion in philosophy departments and those in religious studies departments [Wainwright 1996]), Dickman wonders whom I intended as the audience for my manifesto. He is right that the questions my book considers do not fit easily in either philosophy or religious studies. These questions arise, nevertheless, when one reflects on what one means by person, tradition, cause, interpretation, belief, or other topics operating in the study of religions. Philosophy of religious studies arises for any scholar of religion who becomes reflexive about our conceptual tools. Dickman also asks whether any single university course could actually reflect the expanded view of philosophy of religion I recommend. Since my recommendation is that the discipline expand along three axes, would such a course have to examine not only, say, the problem of evil but also (1) recognize religious diversity, (2) take into account the non-cognitive dimensions of religious commitments, and (3) reflect on one’s own categories? Or, forget a single course. Could a single human being do all this in a single lifetime? If the expanded discipline my book recommends is unmanageable, why multiply the tasks of philosophy of religion in an impossible way? The answer is that my book offers a proposal for “the big picture.” Can we limn a whole to which all our different approaches to philosophy of religion ought to contribute? What is the discipline’s telos? My three axes propose a vision of that whole, and my hope is that the conversation on this question helps us see what philosophers of religion have previously overlooked. Have the religions south of the equator been unjustifiably excluded? Has embodied practice? Has the philosopher’s own formation? My view is that even a provisional answer to these questions can then guide the individual instructor’s syllabus or research agenda, as well as a department’s strategic plan, its curricula, and its hiring practices. Dickman also raises some important epistemological questions. First, I critique Kantian scheme-content dualism, but Dickman presents a reading of Kant that differs from the dualistic one I criticize. He claims that for Kant “phenomena” and “noumena” do not name two realms (the position I opposed), but rather one phenomenal realm and then something incoherent and unthinkable (the position I sought). On such a reading, the only conceivable real things are those that are in principle experienceable. Now, I cannot tell whether this is Kant’s point in the passage Dickman quotes. If Kant is there saying that we cannot have sensations of noumenal realities and so by definition noumena are outside “the field of sensibility” but they remain thinkable, then Kant and I are not yet reconciled. I will leave this interpretive question to Kant specialists. But Dickman is right about the importance of what is at issue here: according to the epistemological view I criticize, human knowledge of the world is necessarily caught up in a “conceptual scheme” (Godlove 1989) so that all knowledge of what is real is mediated by concepts, a view the undergirds a great deal of the skepticism and relativism in the academic study of religion today. But according to the position I recommend (and Dickman says Kant permits), the real world is not unavailable to experience, it is not “well lost,” but is rather the structured environment with which human and other animals are always already in contact. Clearly, developing a non-representational account of cognition is a complex and unsettled issue in contemporary philosophy, but there are many today, either working from the analytic camp (like John McDowell) or from the Continental camp (like Hubert Dreyfus), who reject the idea that experience involves a conceptual or linguistic “screen” that intercedes between the subjects and the world. That strikes me as the most promising path forward for philosophy of religion as well. Godlove, Terry F. 1989. Religion, Interpretation, and Diversity of Belief: The Framework Model from Kant to Durkheim to Davidson. Cambridge: Cambridge University Press. Wainwright, William J., ed. 1996. God, Philosophy, and Academic Culture: A Discussion between Scholars in the AAR and APA. Atlanta: Scholars. I want to thank Schilbrack for his clarifications in reply to my questions. I understand and appreciate Schilbrack’s pointing toward “the big picture” as the goal for the book, and that the vision laid out can provisionally guide individuals’ teaching and research, as well as departmental programming and hiring. I also understand and appreciate Schilbrack’s reiteration of the need for a non-representational theory of experience of reality. I would like to keep going with a few issues about which I do not yet feel satisfied. 1. While Schilbrack provides a vision for the whole to which individual philosophers of religions (and individual religious studies scholars) can see themselves contributing, I am still curious about the dispositions or virtues needed here. That is, presumably there are those who do not see themselves as contributing to such a greater whole. Either they cannot do so, or they refuse to do so. I am more concerned about “traditional theists” (in philosophy departments) than “abolitionists” (in religious studies departments) here because it seems to me that former fail to recognize religious studies as a relevant (legitimate?) context for their work while the latter at least recognize the diverse context of their work. It seems to me that it would take something like a “conversion,” where, for example, “traditional theists” could come to realize that the rhetoric or jargon of “the traditional God” is myopic and exclusionary rather than accurate. Is Shankara a “traditional theist”? The point is what might prime one for such a conversion? What kinds of dispositions or virtues are key for seeing oneself as part of this specific greater whole so envisioned here? I want to emphasize this because, on the whole, “traditional theists” strike me as prioritizing their religious whole as their primary point of contribution, rather than their discipline—let alone their discipline as Schilbrack envisions it with such expansiveness. 2. I appreciate the notion of “superempirical” realities to avoid natural/supernatural dualism. It is the substantive element in Schilbrack’s definition of religion that helps us distinguish religious from nonreligious phenomena. It is of these superempirical realities that a religious practitioner might “get things wrong” (or right). For an intra-religious example, the Dalai Lama claims that other schools Buddhism get shunyata (or emptiness) wrong (Dalai Lama 2000, p. 536). For an intra-religious studies example, Schilbrack claims that other theories of religion get “religion” wrong (Schilbrack 2014, p. 146). While the value of a theory of religion is not based on capturing what religion “really is” but on pragmatic purposes, it seems that the religious practitioner will need to offer other kinds of reasons (experiential, prudential, etc.) that do not cash out in pragmatic purposes but in “getting things right” about what really is. I still want to hear Schilbrack speak further to two things. Is “shunyata” more a symbol or more a concept? That one is more just for my own interests. Perhaps more importantly, if the philosopher of religion is sufficiently proficient in Buddhist parlance, what criteria might she appeal to as decisive for whether the religious practitioner gets things right or wrong? This one concerns what I see as a potential opportunity to distinguish transcendental conditions of possibility from superempirical realities. 3. Speaking of which… I want to object further on Schilbrack’s relegating hermeneutic phenomenology solely to the descriptive rather than the evaluative moment in the Y-axis division of labor (description, explanation, evaluation) for the study of religion. While hermeneutic phenomenology as it gets discussed and used in religious studies to (re)describe religious practitioners’ self-understandings, the sorts of hermeneutic phenomenologies I think of as emblematic (from Husserl to Ricoeur) seem to include a critical and evaluative moment. That is, philosophical phenomenology (or philosophical hermeneutics) has criteria by which to evaluate the self-understanding of practitioners as mistaken or (even?) immoral. Phenomenology ideally yields an ontology. It seems to me that the ontology so yielded provides the principles needed for immanent or transcendental (or even transcendent?) critique of practitioners’ self-understandings as well as scholars’ theories. I am still thinking about this, but perhaps one way to put it is: is there a difference between normative criteria and transcendental conditions of possibility? Perhaps it is just that I would rather call that which is in the descriptive moment of the Y-axis “anthropology” (in the sense of Geertz’s “thick description”) rather than phenomenology. But all this may be beside the point. It’s not phenomenology or anthropology or what have you that’s at stake here. It is philosophy that shows us the differences between description, explanation, and evaluation. Just as a philosophical anthropology is not an anthropology, a philosophical hermeneutics is not a hermeneutic. So also is the philosophy of religious studies not the study of religion. This is the relevance of philosophy to the study of religion. Dalai Lama. 2000. “Buddhism and Other Religions,” in Peterson, et al., Philosophy of Religion: Selected Readings. Oxford: Oxford University Press. Kevin Schilbrack’s (2014) book, Philosophy and the Study of Religions: A Manifesto, has the unusual and perhaps somewhat dubious distinction of being one with which I largely agree. One point of agreement concerns Schilbrack’s call for philosophy of religion to expand its scope beyond its predominantly Christian origins and engage with religions besides the Western monotheisms. Having occasionally ventured into the domain of philosophy of religion, I have been frustrated by the occidental and in fact very Christian-centric character of most work in the subfield. Schilbrack’s exhortation to his colleagues to read Sankara, Confucius, and the Buddha alongside Augustine and Aquinas is not only smart, but likely necessary to ensure the enduring relevance of philosophy of religion as an academic enterprise. I am also largely in agreement with Schilbrack when it comes to his methodological prescriptions for religious studies. In particular, I am deeply sympathetic to his endorsement of a role for what he calls a “phenomenological hermeneutic” approach to research on religion, and I applaud the fact that he positions this approach as a complement—rather than as a competitor—to an explanatory approach. Schilbrack resists the temptation of comfortingly simple (and typically simplistic) dichotomies, depicting the study of religion as a complex and multifaceted affair wherein both types of research are not only possible, but necessary and interdependent. This methodologically multifaceted formulation of religious studies is one that I fully endorse. In short, I am for the most part sold on what Schilbrack is selling. However, I also see opportunities to refine and clarify his program, with regard to his visions for both religious studies and philosophy of religion. With these goals in mind, there are three questions I would like to pose with regard to his book: (1) How should the philosophy of religions conceptualize religions’ truth claims? (2) Can there be individual religion? (3) Can philosophy evaluate religions’ superempirical dimensions? 1. How should the philosophy of religions conceptualize religions’ truth claims? One of the first arguments Schilbrack offers in his manifesto—and perhaps the argument that calls for the most fundamental disciplinary reorientation—concerns the manner in which philosophy thinks about religions. Schilbrack begins by observing that philosophy of religion’s engagement with religion has typically been very narrow in scope, focusing almost exclusively on the rationality of theistic belief (9). From there, Schilbrack begins expanding the boundaries of philosophy of religion, arguing first that philosophers must consider religious traditions beyond Christianity. For example, Schilbrack suggests, philosophers ought to read thinkers such as Sankara and Dogen, interrogating their respective metaphysical claims concerning non-duality and the emptiness of reality. I wager that this expansion of philosophy of religion would not be overly traumatic for philosophers trained in the traditional fashion. Although Schilbrack suggests that philosophers should examine thinkers and texts outside of the Western philosophical tradition, the type of inquiry he endorses here is quite familiar: the assessment of truth claims. Schilbrack suggests that philosophers could ask, for example, what reasons could be given for a non-dualist ontology, or what possible arguments against emptiness might be possible (11). 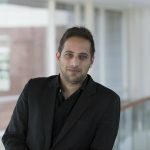 This kind of analysis—assessing the defensibility of a position based on reasons and evidence—is the bread and butter of philosophy, and so suggesting that philosophers apply these analytical techniques to a wider range of materials should not require a very drastic revision of philosophy of religion. On this account, philosophy of religion plies the same trade it always has; it merely expands that trade into new markets—hence Schilbrack’s emphasis on philosophy of religions, in the plural (14). Later, however, Schilbrack seeks to expand the scope of philosophy of religion in a different direction that would likely be less comfortable for traditionally trained Western scholars. Schilbrack’s argument here begins with the observation that doctrine represents only one dimension of religions, and that many religions do not devote great attention to argumentation or explicit theologizing (15). Traditional philosophy of religion therefore has been myopic, he argues, not only in its focus on Christianity, but also in its focus on religious doctrine. Seeking to correct for this narrow intellectualist prejudice, Schilbrack argues for a “philosophical study of religious practices” (31). Schilbrack devotes significant effort to explaining what such a study might look like. He first describes “an embodiment paradigm”—an alternative view of human agents that sees the body as an integral part of the subject’s perceptual, experiential, and even intellectual capacities and activities. Devolving from this perspective, Schilbrack then discusses conceptual metaphors, a deep structure of thought wherein humans subconsciously draw on embodied experience to form templates (called “image schemas”) that structure our comprehension of abstract concepts—for example, categories are conceptualized as “containers,” purposes as “destinations,” and so forth (37).1 In short, conceptual metaphor theory claims that we draw on our basic bodily experiences and spatial perceptions to form models that allow us to grasp and manipulate abstract concepts. Schilbrack also discusses cognitive prosthetics—the use of tools and aspects of the environment to aid in thinking processes. A calculator is perhaps the most obvious example, but Schilbrack argues that such “scaffolding” for mental processes is in fact a pervasive aspect of daily life, citing examples such as mnemonic devices and even language itself. “The use of extra-cranial mind tools,” he writes, “is ubiquitous” (41). These theories—the general perspective of embodiment, concretized through specific notions such as conceptual metaphors and cognitive prosthetics—serve to remind scholars of both religion and philosophy that human subjects’ engagements with the world are far more complex than the computations of disembodied minds processing raw data. Schilbrack draws aptly on these theories in order to helpfully complicate our understanding of human activity and cognition, including those acts and thoughts that we categorize as religious. I am largely in agreement with him that dated but still familiar depictions of the human mind as disembodied, autonomous, and purely rational ought to be viewed with skepticism. What remains unclear, however, is what impact these observations have specifically with regard to philosophy’s engagement with religion. Earlier in his manifesto, Schilbrack writes: “The distinctive contribution of philosophy of religion has to do with the evaluation of truth claims, which means the assessment of reason-giving and arguments” (25). His first examples of the broader scope he envisions for philosophy of religion involve interrogating the truth claims of Sankara’s and Dogen’s respective metaphysics. Given the fact that other disciplines that study religion expressly omit “the truth question,” it is very reasonable for philosophy to engage it. And it is also probably true that philosophy is best-suited for that task. However, it is not clear how Schilbrack’s discussion of embodiment and his underscoring of religious practices are meant to impact that specific task. Certainly, he makes an excellent point that we ought to be cognizant of conceptual metaphors and cognitive prosthetics insofar as they play important roles in human thought. And there is no doubt that practices constitute just as important a dimension of religions as doctrine or belief. It is more difficult to see, however, how these ought to be accommodated specifically in our evaluation of the truth claims that religions make. It is one thing to insist that human thought is conditioned by and enacted through these structures and tendencies; it is another to regard them as susceptible to assessments of truth and falsity. Should we attempt to see the celebration of the Mass as “providing reasons” for God’s existence, or the Native American Ghost Dance as “arguing for” the reality of ancestral spirits? These formulations seem strained. Although Schilbrack is certainly correct that human cognition is more complex and less autonomous than the disembodied Cartesian model would have it, it is difficult to see exactly how that observation can or should inform the philosopher’s assessment of the truth claims of religions. Human cognition may very well make use of environmental tools and conceptual metaphors in ways large and small, but these tendencies and structures of human intellection are implicit and unintentional. By contrast, “reasons” and “arguments”—the language in which truth claims are made—arise explicitly, through the intentional deployment of words as language. When religions make truth claims, they do so explicitly, through the medium of language, in the form of doctrines and texts. And if it is the case, as Schilbrack writes, that philosophy’s “distinctive contribution” is the evaluation of truth claims, then it seems that its primary focus must remain on doctrine, and therefore could proceed largely without the insights of embodiment theory and without paying much attention to practices. This in itself is not necessarily a problem, as other fields (anthropology, sociology, religious studies, etc.) will or at least should pay ample attention to religions’ other, non-truth-claim-making dimensions. But, given Schilbrack’s formulation of the central task of philosophy of religions, it seems that his broadened view of religious cognition to include embodiment will have rather little impact on the primary task that philosophy performs with regard to religions. 2. Can there be individual religion? In chapter 5, Schilbrack bravely tackles the notoriously difficult question of how to define “religion.” He is circumspect in this venture, stating that his definition does not presume to capture “the sole truth about religion,” but is instead intended as a “heuristic tool” that facilitates a methodologically pluralistic approach to the study of religion (116). Schilbrack does so by combining the “functionalist strategy” of defining religion in terms of its effects with a “substantive strategy” of defining religion in terms of its object (116–17). This approach produces a definition that Schilbrack hopes is broad enough to include new and various culturally inflected forms of religion, while remaining sufficiently narrow that the term does not lose analytic value. He describes a kind of Venn diagram wherein “religion” consists of two necessary qualities. First, religions involve “normative social practices that promise to solve problems for people.” Those problems typically address either the body, society, or nature (122–23). Second, religions involve some sort of superempirical reality, which typically provides justification for the normative practices. Schilbrack summarizes his definition succinctly: “forms of life predicated upon the reality of the superempirical” (135). Schilbrack then helpfully discusses a few examples. Confucianism’s discourse about the Dao and Stoicism’s concept of the Logos—in combination with the practices they respectively endorse—render them religious. Alcoholics Anonymous also makes the cut, as it advocates certain practices in addition to some notion of a “Higher Power,” however vaguely that might be defined. By contrast, Hegel’s absolute idealism and Martha Nussbaum’s Natural Law do not qualify because—although they posit superempirical realities—they lack any sort of lived practices. And, on the other hand, even though fly-fishing might be performed with an attitude of devotion or as a kind of meditative practice, it fails to qualify as religion because it typically lacks any reference to a superempirical reality. These examples helpfully clarify Schilbrack’s definition. To refine that definition still further, though, it would be useful for Schilbrack to discuss whether or not he would be comfortable with the notion of an individual religion. To be fair, an answer to this question is already at least implied in his book: the functionalist aspect of his definition concerns “normative social practices” that typically concern “the body, society, or nature,” so Schilbrack at least implies that there is a social dimension to religion (emphasis added). However, it seems that the primary concerns that motivate his thinking on this issue could be satisfied by a hypothetical individual religion. It is certainly not impossible for an individual to devise a set of normative practices for herself—a regimen of walking meditation through the woods, for example—that she regards as necessary to her health, where “health” is conceived in a holistic fashion that includes her physical, emotional, and “spiritual” states. It is also possible that she could understand this practice as facilitating a kind of relationship with Gaia or communion with “Nature,” conceived in a Spinozistic fashion. Such behavior would satisfy, at least in a basic sense, Schilbrack’s two requirements: reference to a superempirical reality, and a problem-oriented practice that goes beyond mere belief or theory. Although Schilbrack notes that religious practices are typically social in character, it is not clear whether the social dimension is necessary or simply common. If he were willing to allow for an individual type of religion, he would not, of course, be alone. William James is perhaps most well-known for his decidedly individualistic conceptualization of religion in The Varieties of Religious Experience—and he has often been castigated for it. Religious studies today is very much enamored of the social, and more than a few scholars now conceptualize religion as social by definition. Stephen Bush’s (2014) Visions of Religion is a good example of this trend. Bush’s book is in many ways an intrepid text, seeking to salvage a range of thinkers and concepts that have been largely relegated to the theoretical dustbin. To a great extent, Bush is willing to question received truths of the discipline and to defend minority positions. The one line he will not cross, however, is the field’s current infatuation with the social. According to Bush: “religion [is] a social practice”; “meanings are public in nature, not private”; “the term ‘experience’ refers to matters that are public and/or social: dispositions, normative statuses, and causal processes”; “as a product of normed behavior, beliefs are inherently social and practical” (Bush 2014, pp. ix, 108, 154, 195). Schilbrack does not seem as thoroughly convinced as Bush of the inevitably social nature of all human belief and behavior, but it is not clear how far he is willing to go in resisting the current trend to regard anything and everything religious—indeed, in some cases, simply anything and everything—as fundamentally social. Is there, in short, any such thing as private religion, or privacy at all? 3. Are there limits to philosophy’s ability to evaluate religions? 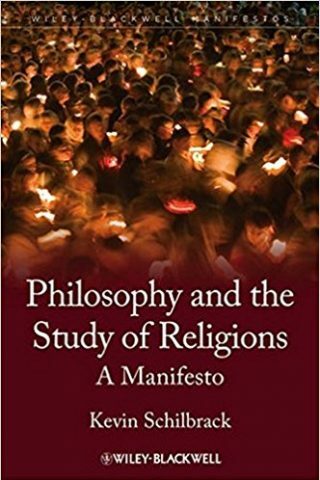 In the concluding chapters of his manifesto, Schilbrack contends with the complicated questions of how the philosophical evaluation of religions is to be carried out, and how that process is related to the other two “arms” of the academic study of religion, interpretation and explanation. As already noted, I am largely in agreement with Schilbrack concerning both the validity of all three arms, and their relationships to each other: I concur that interpretation is not only a valid but necessary enterprise in the study of religion; I agree that the interpretive task does not—indeed, must not—bar explanations that contradict insiders’ claims; and I also see the evaluation of religions—the traditional job of philosophy of religion—as a legitimate and important enterprise. There are complications concerning this last point, however. In discussing the evaluative task of philosophy of religions, Schilbrack writes: “[Although] the evaluation of religious reasons is typically not a scientific enterprise, it can still operate by criteria that are intersubjective and rational, and . . . when evaluative debates do so, they are appropriate for the academy” (192). This is an entirely defensible and even commonsensical proposal. Consider, for example, the philosophical subfield of ethics. Most ethicists would agree that ethics is not, strictly speaking, a scientific enterprise: it is difficult to imagine how the kind of investigative procedures typically employed in the natural sciences (think of laboratory experimentation) could be applied in the realm of moral philosophy. It seems likely that ethics simply is not susceptible to the kind of empirical falsification that we can demand in scientific inquiry. But that is quite different from saying that there is simply no basis at all for public, rational, and even empirically-informed debate about ethics. And the same goes for the philosophical evaluation of religious claims, as Schilbrack rightly notes. He writes: “Evaluative inquiries can illuminate the implications and thus the intellectual costs of a given belief, practice, experience, or institution and . . . such analyses can be done according to public criteria” (192–93). My only quibble with Schilbrack here (and it is, I admit, a quibble) is that we ought to consider “implications” of religious reasons and claims beyond those of “intellectual cost.” For instance, a religious argument might be internally consistent and accord with the broader theology of a religious tradition, but have real-world consequences that increase human suffering. Such a result, while not concerning “intellectual cost,” should suggest a negative evaluation of the argument itself. I suspect that Schilbrack would agree with this point. His primary concern, after all, is that philosophy evaluate religions and religious reasons according to criteria that are public, and this would seem to include assessments of not only rationality, but also real-world effects and contradictions with empirical observation. I would like to raise a different concern, however. The fact of the matter is that the types of reasoning employed by religious thought are not always public and are not always subject to intersubjective evaluation, at least not in the sense that Schilbrack intends. As he notes in his definition, religions typically truck in claims concerning the “superempirical.” While Schilbrack is right to note that the superempirical manifests differently in different traditions, the term almost always refers to something unconstrained by the laws of nature that govern mundane reality. And often, superempirical realities are also described as transcending the constraints of rationality. In short, the superempirical realities that, according to Schilbrack, constitute a necessary component of religions are likely—by definition—to refuse to play by the public rules by which philosophy would evaluate them. A) We could conclude that Schilbrack’s philosophy of religions is at least partially ineffectual, as it is unable to evaluate some percentage of religious thought. There is a flaw or at least an unfortunate limitation in the evaluative method that Schilbrack sketches for philosophy of religions. B) We could conclude that a significant percentage of religious thought is simply unreasonable. At least in those instances in which it fails to offer reasons that are publicly corrigible, religion must be regarded as at least ungrounded, if not simply unsound. Here, the flaw lies with religions and their failures to reason in publicly defensible fashions. C) We could conclude that a significant percentage of religions simply remain unevaluatable from a philosophical perspective: this subset of religious claims are neither false nor true, defensible nor indefensible, but simply cannot be evaluated by the philosophy of religions. In this case, flaws are not attributed to either religions or philosophy’s tools for evaluating them; there is simply an unbridgeable chasm between them (at least in certain regards) that cannot be reconciled. These are not, of course, new issues for philosophy of religion. Given Schilbrack’s intention to revise the subfield and to articulate a new, broader, and better-informed philosophy of religions, however, it seems reasonable to ask how he views this familiar concern. On the one hand, one of the primary goals of Schilbrack’s manifesto is to “build bridges” between the interpretive, explanatory, and evaluative endeavors with regard to the study of religions, and this project entails a defense of the relevance and practicability of the evaluative task with regard to religions. On the other hand, however, in order to render that evaluative task as a legitimate intellectual enterprise within the contemporary academy, Schilbrack conceptualizes it in terms that seem to exclude much of the internal logical and many significant basic assumptions of religions themselves. It is necessary to determine what to make of that consequence. Is it the case that Schilbrack’s philosophy of religions deems much of religious thought to be unreasonable, or must we somehow reconfigure his approach to account more effectively for religions’ superempirical claims? Or, alternatively, must we simply accept that a significant portion of religious thought is and will remain unavailable for philosophical evaluation? Bush, Stephen. 2014. Visions of Religion: Experience, Meaning, and Power. Oxford: Oxford University Press. Slingerland, Edward. 2004. “Conceptual Metaphor as Methodology for Comparative Religion.” Journal of the American Academy of Religion 72, no. 1: 1–31. Jason Blum asks three questions, each of which concerns a largely unsettled issue for philosophy of religion. My view is that there is a constitutive relationship between religious lives and religious reason-giving and it deserves more attention from philosophers. In the manifesto, I claimed not that religious practices are in themselves reasons or arguments but instead that such practices do not merely “inscribe” beliefs on the body but can also contribute to acts of reasoning and judgment. When practices are seen in a deterministic way, religious bodies are imagined as passive and the agency of religious participants is occluded. Anything one might call “religious thought” is done elsewhere. My proposal (especially in my focus on the role in religious practices of conceptual metaphors and cognitive prosthetics) was that religious practices can instead be compared to classrooms or laboratories in that they are a site of inquiry and hypothesis-testing. And we can say more: insofar as religious practices shape subjectivity and perception, they enable participants to develop the tools necessary to obtain and test the evidence for the religious claims made by the community. In such cases, to answer Blum’s question, the relation between the doctrinal teachings and the practices is that the practices can train religious subjects so that they can come to see the truth of the doctrines. Second, Blum asks whether to be “a religion” on my definition, the beliefs, practices, and experiences must be communal. Couldn’t a single individual have her or his own religion? As I note in the book (Schilbrack 2014, pp. 115–16), I do not think that, unlike different definitions of natural kinds (like the definitions of water, say), different definitions of “religion” can be tested by comparing them to the way things are. What one concludes is the best definition of “religion” will depend in part on one’s purposes. Given that my purpose is the cross-cultural study of cultures, I argue that the best definition is “social practices authorized by reference to a superempirical reality” (2014, p. 135). Blum therefore provides a helpful example of an individual who develops such a practice: imagine someone who devises for herself a regimen of walking meditation in the woods as a means to improve her spiritual state or even to commune with Gaia or Nature. Could this count as a religion? The quick answer is that I think that we should reserve the term “religion” for practices of more than one person. One could call the individual’s regime “religious” in a derivative sense but I would not call it “a religion.”1 Despite this negative answer, it is important to give an account of forms of life like religions that does not deny the ability of individuals to dissent and to introduce novelty. If we take a religious community as a plural subject, as a “we” (as I think we should), it does not follow that every member of the community believes the same thing. Even when a group is unified by a common intention, the members can also hold personal intentions that conflict with that of the whole, even while they remain members of that collective subject. Individuals can dissent and innovate. The innovation may eventually fragment the group or become a new communal form of life, but I would not call it a religion until it does. Third, Blum asks how philosophy of religion deals with that not-insignificant portion of religious thought that does not operate by the intersubjective standards I would use to evaluate them. If the distinctive goal of our discipline is to evaluate religious reason-giving, what do I do with those claims made by religious communities that their teachings transcend logic, are ineffable, or can only be expressed in paradox? Are there limits to philosophy’s ability to evaluate religions? And Blum gives a nice typology of possible answers: either (1) such religious claims are reasonable in a way that is unappreciated by public criteria, (2) reasonability should be judged by public criteria, and this shows that such claims are unreasonable, or (3) there is no overlap between the claims and the criteria and so the claims cannot be said to be either reasonable or not. This excellent question concerns not only the category of “mysticism” but everything that goes on in religious communities that is not aimed at making truth claims. One can justifiably hold beliefs for which one cannot give public reasons. But it is also true that, despite how common it is to see combined departments of philosophy and religious studies, religions are not just sets of beliefs but communities of practice that operate as historical, political, and cultural forms of life. The distinctive task of philosophy of religion in my view is the explicit evaluation of religious reasons, but philosophy of religion is also involved in the interpretation of religion (as Wittgenstein was) and in the explanation of religion (as Nietzsche was).2 One must interpret religious phenomena to see whether they involve claims for which one can give reasons, and one can explain religious phenomena and leave the evaluations of reasons to the side. When religious communities make paradoxical claims, therefore, philosophers must identify what kind of claim is being made, and they can then either look for reasons or explore the ways that such claims may have some function other than assertion (Bagger 2007). Bagger, Matthew. 2007. The Uses of Paradox: Religion, Self-transformation, and the Absurd. New York: Columbia University Press. Bush, Stephen S. 2014. Visions of Religion: Experience, Meaning, and Power. Oxford: Oxford University Press. Gilbert, Margaret. 2006. A Theory of Political Obligation: Membership, Commitment, and the Bonds of Society. Oxford: Oxford University Press. Schilbrack, Kevin. 2014. Philosophy and the Study of Religions: A Manifesto. Oxford: Blackwell. My thanks to Schilbrack for his considered responses to my questions. They provide further insight into his program, and clarify some issues in ways that I find to be both helpful and intriguing. Schilbrack’s manifesto envisions the study of religions as consisting of three “axes” (interpretation, explanation, and evaluation) between which Schilbrack wishes to build bridges. Thus, the perdurance of a given religious practice cannot be explained independently of an interpretation of it, evaluations of religious claims should be informed by both interpretations and explanations of those claims, etc. And as I stated, I think this overall approach is generally correct: it represents a necessarily multimodal and supple way to think about religions. In my comments, however, I pressed Schilbrack on the blueprints for some of his bridges. Given that Schilbrack states that “the distinctive task of philosophy of religion…is the explicit evaluation of religious reasons,” I asked exactly how the embodied, practice-attentive perspective he advocates (and with which I largely agree) was relevant. While I concur that scholars of religion must be sensitive to religions’ non-doctrinal or non-belief-oriented dimensions, it was not clear to me how such sensitivity could play a role in assessing religious reasons specifically. Reasons, after all, manifest as words articulated in sentences that are governed by grammatical rules and which are deployed with the intention to communicate meaning. In other words, “religious reasons” generally manifest in the forms of beliefs and doctrines. Therefore, it seemed to me that Schilbrack’s philosophy of religions would still remain a primarily belief-oriented enterprise (something which I do not necessarily see as problematic, by the way). I would argue that these formulations employ the terms “inquiry” and “hypothesis” too loosely. It is difficult to compare a bar mitzvah or the hajj to the goings-on at CERN or a graduate colloquium at the University of Pennsylvania. Rites of passage and pilgrimages do not provide reasons in any kind of intentional or publicly corrigible way (not that they ought to! ), and I would maintain that a fundamental distinction must be acknowledged between such practices and the purposeful, self-aware, largely linguistic processes of ratiocination that characterize professional scientific work, academic investigation, and – importantly – theology. I want to thank Kevin Schilbrack for his wonderful Philosophy and the Study of Religions: A Manifesto.1 It is with a relief hard to communicate that I read the following therein: “I agree with Richard King: ‘engagement with the intellectual traditions of the non-western world has become the single most important task for the philosopher in an age of globalization’” (Schilbrack 2014, p. 12).2 Quite. Intellectualism does not loom large on my list of sins unless by that one means to say that we have not availed ourselves of such theoretically interesting topics as praxis, ritual, narrative, devotional exercises and other uses of the imagination, individual emotions or the very idea of emotions—these being only some of the topics which, in addition to topics already familiar to contemporary philosophy of religion, occupy the interest of philosophers with whom I am familiar, given my own parochial concerns with the history of philosophy in South Asia; in some possible world, I should add, these are philosophers whose arguments might already have come to be included within the horizon of philosophy of religion.5 But not in our world. At least not so far. The extension of the scope of our concerns and disciplinary promiscuity go hand in glove, at least if what we want are not fictions of generic others, the anemic creatures who populate too much of the a priori imaginaire of philosophy when feeling about for the limits of intelligibility. What we want to think with more concretely are the kinds of variations of concepts and propositional attitudes over time and between cultures for which, as Michael Forster has pointed out, we already have considerable prima facie evidence in other disciplines such as classics, anthropology, philology and the history of science.7 And such historical variation in categories can cut across our disciplinary identities in direct ways: why assume that what we classify as “religions” when speaking of other places and other times need only be compared with what we call religions in our own case? Why not consider what we are tracking to be better grasped by the history of science, for example?8 The ways in which things come apart in our recent neighborhood (science, religion, politics, law) may not be the most fruitful ways to get at what has not yet been sundered elsewhere. And indeed, acknowledgments such as these have helped. Consider Wendy Doniger’s response to the once commonplace that Indians did not recognize the problem of evil:10 “Scholars [Indologists and philosophers] have overlooked the problem of evil in Indian thought because they have sought it in philosophy rather than in mythology” (O’Flaherty 1980, p. 7).11 We can say that students of the history of evil are intellectually richer for disjoining the problem of evil from the conceptual conditions of monotheism parochially understood, and richer for considering that a problem can be posed and resolved (if not solved)12 in a sequence of narrative. And yet, and yet—were we to step back from this and speak of the lesson here being a contrast between our forms of reason giving and those of others, I fear we shall spoil the gifts scholarship such as Doniger’s presents us with. The telling phrase is “reason giving in some form . . . ,” and the suggestion, later in the same paragraph of Schilbrack’s discussion (as in Doniger’s work), that we might principally be speaking of non-European traditions when making the contrast. Squinted at in the right light this will only further insulate us. At the very least, I think to recognize the existence of reasons outside of Europe in this way is to conceal a possibility the recognition of which would do more to render the current discipline of philosophy of religions less insular. We should not reflexively allow ourselves the luxury of avoiding crediting others—whether those distant from us in time, culture, geography or what have you—with an awareness of available contrast between forms of reason giving, as well as the acknowledgment of the contested (possibly historically contingent) weight of such contrasts. Now we will not always find such an explicit contrast, everywhere, at every time. But we should inflect our use of the contrast by a richer history of the use of such a contrast than we currently possess. Consider again, briefly, the case of theodicy in South Asia. It is true and helpful to say that one can find theodicy in narrative. But it cannot be that philosophers and scholars missed seeing it in South Asia only because they failed to value narrative as a form of thought. Theodicy has also been a theoretical concern of systematic thought (distinguished from narrative) as early as God as a concept has been argued about in South Asia,13 and after, as premodern comparative philosophers of religion writing in Persian such as ‘Abd al-Rahman Chishti found in the seventeenth century.14 What we failed to do is more simple and more starkly put: we just failed to take South Asian philosophy of religion seriously; to take it seriously, I believe, just requires of us an acknowledgment of an available history of different forms of thought and the choices between them which served in part to constitute the history: an acknowledgment which must, that is, keep in view at least as much as was recognized by those who made the history of philosophy of religion in South Asia. We need, with such pioneers as Chishti, to see that taking others seriously involves thickening our account of the sources and meanings of the differences between forms of reason giving. Something we’d need to do in any event even were we speaking just of Socrates in Plato’s Republic. Chishti (and he was not alone) could distinguish between traditions in South Asia which philosophized about religion with and without being beholden to scripture; with and without explicit recourse to the systematic use of reasons in formal arguments; with and without recourse to narrative in thought. For him dialogue required entering into a debate with his chosen conversation partners as to the difference such differences make. It would be a shame if we were able to see and to do less. After all, what we rather desperately need if we are to inflect our use of such contrasts are historically specific (and non-parochially fielded) answers to a question Jonathan Lear, prompted by Plato’s praxis, still believes outstanding: what, if anything, is the distinctively philosophical contribution that myth and allegory make? (Lear 2017, p. 227; see also pp. 225–26). Recall as well how Stanley Cavell concluded his The Claim of Reason: can philosophy become literature and still know itself? (Cavell 1979, p. 496). Such questions are not ours alone. But why should that matter to our concern? To acknowledge the choices made before us by those like ‘Abd al-Rahman Chishti with respect to non-Islamicate philosophy in India during what I would call one of the great eras of conceptual translation, or “alignment” (tadbīq), to use ill-fated Dara Shukoh’s word for it, is also to see that for some of our premodern forebears the business of expanding the scope of topics and materials they considered worthy of thought intrinsically involves our taking up questions at another level of ascent, as with Schilbrack’s second task for the philosophy of religions. What this suggests is this: I rather think we’ll find that these tasks—expanding our scope, and taking up the conditions of interpretation (and with it our terms of art and the logical geography of our concepts) as explicit theoretical topics—are twinned. We must grow to incorporate not first-order senses alone, but practices of making sense of the senses other people have made, whether over time within traditions, or at a time across civilizations and cultures. At the very least, we must see that philosophers hidden from our view by our current parochialism have already gone where we wish boldly to go. And unless we include the tracks of their passage, we will not with sufficient care make the distinctions we need when articulating the tasks of a less insular philosophy of religion; and all the good intentions in the world will only serve once more to make of conversations insulation for a ventriloquist’s echo-chamber. But I think we should not seek to model a non-insular or less insular conception of philosophy of religions on Eliade’s variety of provincializing Europe in his The Myth of the Eternal Return.16 Despite the cringe-worthy resonances in talk of “Oriental thought” (Eliade 2005, p. 3), Eliade genuinely wanted to acknowledge the existence of reasons outside of Europe, and elicit from overlooked sources a reasoned response to reality in forms not traditionally thought to be normative. From the genealogical story of the suppressed debt of high theory in what we now call religious studies to remote South Asian forebears (to which one really needs to add the story of the “gift” as a theoretical object), take only this much: do we then need Eliadean ventriloquism to bring this into conversation? To say that we are confronted not with the first-order work of religion—whatever that might be—but already, as early as you please, work on religion (to borrow Hans Blumenberg’s parallel distinction concerning myth),21 is to say in this case something specific. It is to say that such work includes the acutely self-conscious giving and asking for reasons by various means, including arguments, narratives (the interpretation of received narratives, and the invention of narratives as explanations),22 semantic analysis,23 allegory, to cite a few from among various practices. In the absence of concerning oneself with these I fail to see how J. Z. Smith finds “conversation” and “dialogue” in the first two chapters of Eliade’s work.24 It is significant that he is wrong. For instead of impersonal bits of interpretive rubble, Eliade might have found continuity with Yāska (among ancient South Asian mythographers and interpreters), and their concerns (along with those of their interlocutors), even as Lévi-Strauss found in Plutarch,25 and how it is that generally Europeans manage to find in their contemporaries or distant though repossessed ancestors, but never anywhere else, valued forebears. Whether giving new reasons for old views, recasting both the views and reasons found in earlier texts,28 or generating new concepts and commitments, there is, then, what T. S. Eliot managed to discern as early as 1918 and which insight he buried in an obscure review essay, not only philosophy, but “as certainly a History of Indian Philosophy as of European, a history which can be traced . . .”29 But see this, and you ought to see something that can best be brought into view by summarizing, baldly, the facts to which Eliadean provincializing remains blind: (a) Europe is not unique for having a history of traditions which involve reason-giving and reason-eliciting in a recognizable variety of these as explicit practices; (b) Europe is not unique for making distinctions among kinds of reason-giving practices; (c) there is a history to explicit and distinguishable reason-giving practices outside of Europe, and a history of theoretically concerning oneself with reconstructing earlier reasons (offered in some form) into a paradigmatically acceptable form counting as the giving of a reason; (d) some of the reason-giving practices (whether paradigmatically acceptable or not as a reason-giving practice) take as their theoretical object earlier (or, other) reason-giving practices. There are not only non-European religions, not only non-European philosophical traditions, but even various candidates for non-European philosophy of religions. This suggests one criterion for successfully rendering the philosophy of religions less insular based on the limits of an analogical enterprise above: it must not assume for ourselves either a generality or uniqueness we do not possess: take any level of semantic ascent you like, our questions are neither unique nor our vocabularies the most general. That’s where Eliade should have begun. Might we not then begin making our discipline less insular with the recognition that there can be analogues not only of claims but for our own activity as philosophers of religion outside of Europe, acknowledging thereby that these practices have a history; that we can in studying their reasons learn that we need not ventriloquize, but converse? Recall Schilbrack’s citing with approval Richard King’s belief that engagement with the intellectual traditions of the non-western world has now become our single most important task as philosophers. I don’t know if we have made enough room to begin taking the measure of the histories of philosophy and religion outside Europe and its present claims on us seriously. It is long since it has been a question of access or availability. Remember T. S. Eliot in 1918, clerking by day with enough time to keep up with the latest on Vijñānabhikṣu, and contrast to this the almost complete indifference (if not outright condescension) students of Eliot can extend to what he thought mattered. The question is one of visibility given the incuriosity and sullen indifference of longstanding habit. And if availability is not visibility, visibility is not sufficient to ensure representation. These reasons are perhaps easier to find for the insularly described pasts of some of us. Here is one such: by learning more about the past of philosophy we might thereby seek to avail ourselves of the benefit that historical inquiry affords the philosopher, the perspective from which we can recognize intellectual forms of disciplines that are distinct from and nevertheless related to ours, and thus, come to learn, as Quentin Skinner puts it, “the distinction between what is necessary and what is the product merely of our own contingent arrangements” (Skinner 1969, pp. 52–53).30 This at the level, I should add again, not only of our claims; and not only of our theoretical vocabulary and analytic tool-kit and what counts as giving a reason, but also of our own intellectual form of meaningful activity. And we might do all this for the reason that Skinner suggests, finding in the above distinction between the necessary and contingent layout of our intellectual form of life the key to self-awareness. On this way of putting things, unacknowledged contingency in our vocabulary and concerns (such as “anonymous Christianity” which is still too much with us) is not only a form of insularity worth calling parochialism, but also a censurable form of unawareness. What is true of the Brāḥmanas and anthropology strikes me as useful for the relationship between the innumerable works of non-European philosophy and a philosophy of religion aspiring to non-insularity, even in the absence of genealogical ties. That might sound radical. It need not. You only need to add to the recognition of the contingency of our ways of describing ourselves the fact that we are already far more variously described than the academy is capable of recognizing in the vocabulary it has enshrined in its canons, its curriculum, and its cartographies of thought. True, that acknowledgment does come more easily to some than to others. But we might make this more generally available by saying something like this. Though seeing that duty through will require of us virtues as well. Not least, those of forbearance and patience. And that is something else we might begin to talk about. Ando, Clifford. 2009. The Matter of the Gods: Religion and the Roman Empire. University of California Press. Alam, Muzaffar. 2012. “Strategy and Imagination in a Mughal Sufi Story of Creation.” The Indian Economic and Social History Review 49, no. 2: 151–95. Allen, Michael S. 2014. “Review of Unifying Hinduism: Philosophy and Identity in Indian Intellectual History. By Andrew J. Nicholson. Columbia University Press.” Journal of the American Academy of Religion 82, no. 3: 879–83. Blumenberg, Hans. 1988. Work on Myth. Trans. Robert M. Wallace. MIT Press. Burley, Mikel. 2015. Editor. Philosophy and The Study of Religions: A Manifesto. By Kevin J. Schilbrack. Journal of the American Academy of Religion 83 (1): 236–60. Calasso, Roberto. 2014. Ardor. Trans. Richard Dixon. New York: Farrar, Straus and Giroux. Cavell, Stanley. 1979. The Claim of Reason: Wittgenstein, Skepticism, Morality, and Tragedy. Oxford University Press. Collins, Steven. 1982. Selfless Persons: Imagery and thought in Theravada Buddhism, Cambridge: Cambridge University Press. Collins, Steven. 1998. Nirvana and Other Buddhist Felicities. Cambridge: Cambridge University Press. Collins, Steven. 2010. Nirvana: Concept, Imagery, Narrative. Cambridge: Cambridge University Press. Crosby, Kate and Andrew Skilton. 1996. Bodhicaryāvatāra. Oxford University Press. Crosby, Kate. 2013. Traditional Theravāda Meditation and Its Modern-Era Suppression. Hong Kong: Buddha Dharma Centre of Hong Kong. Dasgupta, Surendranath. 1961. A History of Indian Philosophy: Volume 4. Cambridge: Cambridge University Press. Eggeling, Julius. 1882. The Satapatha-Brâhmana: According to the Text of the Mâdhyandina School. Part I: Books I and II. Volume 12 of the Sacred Books of the East. Oxford: Clarendon Press. Eliade, Mircea. 2005. The Myth of the Eternal Return. With a new introduction by Jonathan Z. Smith. Princeton: Princeton University Press. Eliot, T. S. 1993. The Varieties of Metaphysical Poetry. Ed. Ronald Schuhard. New York: Harcourt Brace and Company. Forster, Michael N. 1988. “On the Very Idea of Denying the Existence of Radically Different Conceptual Schemes.” Inquiry, 41, no. 2: 133–85. Ganeri, Jonardon. 2001. Philosophy in Classical India: The Proper Work of Reason. London: Routledge. Ganeri, Jonardon. 2007. The Concealed Art of the Soul: Theories of Self and Practices of Truth in Indian Ethics and Epistemology. Oxford University Press. Ganeri, Jonardon. 2011. The Lost Age of Reason: Philosophy in Early Modern India: 1450–1700. Oxford University Press. Gopnik, Alison. 2009. “Could David Hume Have Known about Buddhism? Charles Francois Dolu, the Royal College of La Flèche, and the Global Jesuit Intellectual Network.” Hume Studies 35, no. 1–2: 5–28. Horton, Robert. 1997. Patterns of Thought in Africa and the West: Essays on Magic, Religion and Science. Cambridge: Cambridge University Press. Ingold, Tim. 2004. “A Circumpolar Night’s Dream.” In Figured Worlds: Ontological Debates in Intercultural Relations. Eds. John Clammer, Sylvie Poirer, Eric Schwimmer. Toronto: University of Toronto, pp. 25–58. Israel, Jonathan I. 2006. Enlightenment Contested: Philosophy, Modernity, and the Emancipation of Man: 1670–1752. Oxford University Press. Kahrs, Eivind. 1998. Indian Semantic Analysis: The “Nirvacana” Tradition. Cambridge University Press. Lear, Jonathan. 2017. Wisdom Won from Illness: Essays in Philosophy and Pyschoanalysis. Harvard University Press. Lévi-Strauss, Claude. 1966. The Savage Mind (La Pensée Sauvage). London: Weidenfeld and Nicolson. Lévi-Strauss, Claude. 1990. The Naked Man. Mythologiques: Volume Four. Trans. John and Doreen Weightman. Chicago: University of Chicago Press. Marlowe, Christopher. 2003. The Complete Plays. Eds. Frank Romany and Robert Lindsey. London: Penguin Books. McGinn, Bernard. 1996. The Growth of Mysticism: Gregory the Great through the 12th Century. New York: Crossroad Herder. Mohanty, J. N. 2000. Classical Indian Philosophy. Rowman and Littlefield. Nicholson, Andrew J. 2010. Unifying Hinduism: Philosophy and Identity in Indian Intellectual History. Columbia University Press. Nock, Arthur Darby. 1972. Essays on Religion and the Ancient World: I. Ed. Zeph Stewart. Cambridge: Harvard University Press. Norden, Bryan W. Van, and Jay L. Garfield. 2016. “If Philosophy Won’t Diversity, Let’s Call It What It Is.” The Stone. New York Times opinion pages, May 11: https://syndicate.network.nytimes.com/2016/05/11/opinion/if-philosophy-wont-diversify-lets-call-it-what-it-really-is.html?_r=0. O’ Flaherty, Wendy Doniger. 1980. The Origins of Evil in Hindu Mythology. University of California Press. Park, Peter K. J. 2013. Africa, Asia and the History of Philosophy: Racism in the Formation of the Philosophical Canon, 1780–1830. Albany: State University of New York Press. Patil, Parimal G. 2010. “History, Philology, and the Philosophical Study of Sanskrit Texts: Jonardon Ganeri’s Philosophy in Classical India.” Journal of Indian Philosophy: 38: 163–202. Patton, Laurie S. 1996. Myth as Argument: The Bṛhaddevatā as Canonical Commentary. Toepelmann. Rorty, Richard. 1984. “The Historiography of Philosophy: Four Genres.” In Philosophy in History: Essays on the Historiography of Philosophy. Eds. Richard Rorty, J. B. Schneewind, Quentin Skinner. Cambridge: Cambridge University Press, pp. 49–75. Schilbrack, Kevin, ed. 2002. Thinking Through Myths: Philosophical Perspectives. London: Routledge. Schilbrack, Kevin. 2014. Philosophy and the Study of Religions: A Manifesto. Wiley-Blackwell. Skinner, Quentin. 1969. “Meaning and Understanding in the History of Ideas.” History and Theory 8: 3–53. Trautmann, Thomas R. 2011. “The Past in the Present,” Fragments vol. 1: http://hdl.handle.net/2027/spo.9772151.0001.002. Trautmann, Thomas R. 2012. “Does India Have History? Does History Have India?” Comparative Studies in Society and History 54, no. 1: 174–205. Sonam Kachru helps us think about the way our categories reflect entrenched assumptions and hinder a cross-cultural philosophy of religion. First, for example, he asks: “Why assume that what we classify as ‘religions’ when speaking of other places and other times need only be compared with what we call religions in our own case?” He proposes that we compare what in one culture we put in the category of “religion” with what in another culture we put in in the category of “science.” Kachru is right that our unreflective categories can become ruts that guide research and teaching along trajectories that simply repeat self-aggrandizing assumptions. It can therefore be illuminating to move the Babylonian Akitu festival that installs a king, for example, from the category of “religion” to “politics,” or Buddhist mindfulness training from “religion” to “psychotherapy.” My only concern with this proposal is that it not lead to the conclusion that the category of “religion” is arbitrary—or even that it is empty. There are several scholars who have argued that, outside the influence of western modernity, there are no forms of life that fit our category of “religion” and to impose the label on them is therefore inappropriate. By contrast, as a realist about social structures, I would argue that the conceptual categories we create for forms of life do not always invent their referents but can refer accurately to real causal mechanisms in the social world (Schilbrack 2017). The label “religion” does not preclude other labels. I would therefore argue that when some form of life is justified in terms of a superempirical reality like “Buddha nature,” “Logos,” or “God,” we should speak of religious politics, religious psychotherapy, or religious science. Second, Kachru supports my claim that reason giving can take multiple forms, and he agrees: “We need to thicken our account . . . of the differences between forms of reason giving.” But he also worries that when I speak of expanding philosophy of religion to include the study of reason giving “in some form,” those three words imply that what westerners or Christians do is give reasons simpliciter, and what others do is give reasons merely in some derivative way. Relatedly, Kachru rejects the view proposed by Mircea Eliade that non-western thought requires “transposition into an explicit theoretical idiom and philosophical vocabulary, with such reasons as it possesses needing to be teased out.” He questions whether, like Eliade, I take western philosophy as a norm for reason-giving in general. Kachru is right that I think that reason-giving takes multiple forms. It might take the form of philosophical argument, and Kachru points out (citing Wendy Doniger) that it also might take the form of narrative. When I wrote the sentence he quotes, however, I imagined that reason-giving might not involve texts at all but might take the form of practices. On an analogy with those who claim, for example, that a certain restaurant is the best, religious reason-giving might take the form not of written argument, nor of a written narrative, but rather the form of taking the doubters bodily to experience it themselves. Moreover, I agree with Kachru both that Europe is not unique in giving reasons or in having a history of reflection on giving reasons, and that we need to watch out for what he calls “Eliadean ventriloquism” in which our accounts of what the other says are merely the words we put in their mouths.1 Nevertheless, I expect that comparative philosophy will always require “transposition.” When reason-giving takes the form of myths or rituals, it will require transposition in two senses: first, from the prereflective narrative or experiential form to a reflective account and, second, from the idiom of the source tradition to that of one’s audience. This transposition is required not because western categories define what it means to give a reason, but rather because the scholar must re-present those reasons in a text for an academic audience. Third, Kachru says (citing Richard Rorty) that it is important to describe other cultures “in their own terms.” The requirement that scholars must attend to the self-understanding of religious insiders is sometimes rejected by those who think that if the study of religions belongs in the academy, then it must take the approach of a critic and not a caretaker. But that rejection is not persuasive: the scholar of religion has to begin by describing others in their own terms not because the academic study of religions seeks to be caring or respectful but rather because actions are constituted by the intentions of the agents, and therefore grasping those intentions is required to have accurate information (see my exchange on this issue with Craig Martin in Martin 2018 and Schilbrack 2018). To begin by describing others in their own terms does not preclude one from critiquing them in terms they do not accept. And since “their” categories (like dharma, jiao, or din) are also intended to capture real patterns in thinking and acting, it is also important to describe us in their terms. Martin, Craig. 2018. 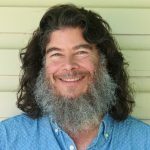 “Incapacitating Scholarship: Or, Why Methodological Agnosticism Is Impossible.” In Jason Blum, ed., The Question of Methodological Naturalism. Leiden: Brill. Schilbrack, Kevin. 2017. “A Realist Social Ontology of Religion.” Religion 47:2 (March): 161–78. Schilbrack, Kevin. 2018. “Nonreductive Methodological Naturalism.” In Jason Blum, ed., The Question of Methodological Naturalism. Leiden: Brill. 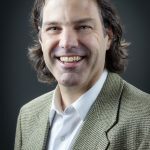 Since its publication in 2014, Kevin Schilbrack’s Philosophy and the Study of Religions: A Manifesto has been the subject of much discussion and argument among philosophers of religion. He offers a three-pronged critique of what can be called traditional or mainstream philosophy of religion. The first prong is narrowness, or singular preoccupation with Western theism. Intellectualism—an overweening focus on beliefs and doctrines—is the second prong, and insularity, or the yawning disengagement with the field of religious studies, is the third. Put differently, traditional philosophy of religion is God-bewitched, bothered, and bewildered, and consequently operates with a blinkered and, in Schilbrack’s words, “inadequate understanding of the task of the discipline” (Schilbrack 2014, p. 10). Much of the attraction of Philosophy and the Study of Religions is found in Schilbrack’s bracing program for a new philosophy of religion, one characterized in the main by a chummy reconnection with the field of religious studies coupled with a fearless embrace of evaluation, or the normative task of assessing the value of religious beliefs, experiences, practices, and institutions. The fizzy combination of these two elements, however, leaves many philosophers of religion and religious studies scholars alike with gassy, bloated feelings of intellectual distress. Turning first to the reengagement of philosophy of religion and religious studies, one immediate question reveals itself: Why is it so important to reconnect the two fields? Simply enough, philosophy of religion as a discipline needs access to historical religious traditions for the simple reason that the consequences of ignoring actual religious traditions are severe. According to Terry F. Godlove, for instance, the consequences include irrelevancy and the ebbing vitality of the discipline as a whole: traditional philosophy of religion “has been in decline for some time, perhaps because we can see clearly that the eternal, infinite, omnipotent, wholly good God of classical theism has little if anything to do with any historical religious tradition” (Godlove 2014, p. 6). Insularity from the field of religious studies renders ahistorical theism as the primary object of inquiry for traditional philosophers of religion. Reconciling philosophy of religion with the field of religious studies thus loosens considerably the self-imposed restraints of insularity. Evaluation, the second element of Schilbrack’s program, is instrumental for the purposes of ameliorating both insularity and narrowness. While evaluation is an integral philosophical activity, it is also a lightning rod attracting bolts of electric criticism from all corners of the religious studies archipelago. In this short engagement with Schilbrack’s proposal, I want to concentrate on the uneasiness experienced by many in religious studies at the very mention of evaluation. I will start by distinguishing two modes of evaluation in Schlbrack’s work: methodological and robust evaluation, respectively. I will then move to consider why robust evaluation attracts what amounts to a Bronx cheer from many scholars (spoiler alert: it’s an unscientific and/or biased form of inquiry that should be excluded from the academy). I subsequently examine Schilbrack’s argument against the exclusionary argument and in favor of widening the scope of inquiry in philosophy of religion, and then finish by reflecting on the requirements of open inquiry and Schilbrack’s position that “public rational criteria” provide an adequate hedge against bias in the form of unexamined value commitments. In Philosophy and the Study of Religions, Schilbrack uses evaluation to refer to two modes of philosophical analysis. We can call these modes methodological evaluation and robust evaluation, respectively. Methodological evaluation is concerned with critically exposing the philosophical assumptions at work in the description and explanation of religious phenomena by historians, anthropologists, literary critics, and the like. While this sort of evaluation is relatively uncontroversial, some philosophers of religion chafe at the very idea of acting in any sort of service role. Schilbrack recounts the anecdote of a traditional philosopher of religion arguing that philosophy of religion, since it is of use to itself, is therefore useful to the field of religious studies. Any calls for philosophy of religion to reengage religious studies are thus redundant. Schilbrack rejects this reasoning on the grounds that one primary benefit of philosophers of religion taking on this role is that it builds integrative, philosophically-sound bridges between the descriptive, explanatory, and evaluative modes and the various disciplines engaged in these analyses. Put another way, constructive methodological evaluation works as a solvent on the insularity characteristic of traditional philosophy of religion by tearing down walls and building bridges. The type of evaluation that draws the slings and arrows of scholarly rebuke is robust evaluation. There are two problems at issue here. The first regards the epistemological grounding of normative inquiries into superempirical realities. Robust evaluation is said to be like theology insofar as it takes religious metaphysics seriously. The outcome of robust evaluation, because it lacks a scientific methodology, is not knowledge but poesy and theological hallucinations. Robust evaluation, in other words, fails to produce knowledge and thus fails on epistemological grounds to be a viable mode of academic inquiry. The second problem concerns the ethics of robust evaluation. Passing judgment on religious claims as an outsider (even under the tweedy guise of disinterested scholarship) is not only epistemologically arrogant but biased, and issues forth in the moral stain of imposing normative judgments on other religious communities. Robust evaluation, according to this view, acts as an ideological solvent on cultural and religious difference and particularity and thus fails on ethical grounds to be a mode of inquiry that ought to be practiced in today’s academy. The strong version of the anti-evaluation argument presumes that evaluative claims can be passed over without problem. A properly scientific methodology is like lamb’s blood splashed above the door of a university seminar room—the angels of evaluation will simply pass by without stopping. Schilbrack, however, argues that this is unrealistic. Evaluations are already present in religious phenomena because, as I noted above, religious practitioners make the bedrock claim that their practices engage reality. Their realism is cashed out in a number of evaluative presumptions deriving from the fundamental view that their way of life is right and proper. Simply ignoring evaluative claims already present in religious phenomena amounts in practice to passing over them uncritically. This is the bad sort of reductionism, bad because it limits scholarly engagement of religious phenomena a priori without warrant, which then introduces bias into scholarly analysis.3 A better strategy, Schilbrack avers, is to make religious metaphysical claims explicit and open to robust evaluation using “the tools of the humanities” (187). Put differently, Schilbrack contends that subjecting first-order or normative claims to critical scrutiny is preferable to the reduction of religious phenomena or restricting inquiry a priori, both of which are vicious and unwarranted.4 To take this path, I argue, requires a larger role for comparison than Schilbrack seems to allow. How interconnected are the activities of robust evaluation (regarding religious metaphysical claims) and comparison? My argument here is that robust evaluation is much more enmeshed with comparison than Schilbrack explicitly allows. In light of his central argument (philosophy of religion today should be global, practice-centered, and reflexive), one would think that comparison would be an integral component of his project. But on the topic of comparison Schilbrack is reserved, allowing simply that comparison is an “apt part of what philosophy of religion involves,” but “it is not a required part” (12). I think part of his reticence is due to his irenic reluctance to become enmeshed in no-true-Scotsman-style arguments over what is or is not true philosophy of religion. I share Schilbrack’s irenic stance and cheerfully admit that there are innumerable projects in philosophy of religion that are not explicitly comparative. But I would argue that comparison, like the cartoon character Savoir Faire, is everywhere in the activity of evaluation—even if it is not a required part of philosophy of religion, it is nevertheless an apt and indeed sizable part. How sizable? Let’s look more closely at robust evaluation, which is a two-stage process. First, particular normative claims must be made explicit; second, these claims are evaluated with respect to their value. The first stage requires phenomenological description of the particular practice, experience, institution, or belief in which the claim is found. To do so accurately requires the inclusion of the agent’s (or agents’) self-understanding. Schilbrack holds that the “connection between agent’s intentions and the identity of the action is ineliminable, rather than optional” (180), citing Gilbert Ryle’s well-known example that the difference between a wink and a blink turn on the agent’s self-understanding. Exclusion of the agent’s self-understanding is reductionism in the bad sense insofar as it rules out specific phenomena without warrant; furthermore, excluding the agent’s self-understanding in this way reduces the accuracy of the description qua description. Schilbrack observes that scholarly description by and large is, so to speak, re-description insofar as, say, a particular belief (inclusive of the agent’s self-understanding) is described not for the community in which that belief is held and regarded as true, but rather for an audience that may or may not hold such a belief and may or may not regard such a belief to be true. Re-description is more familiarly known as interpretation and translation. Scholars engage in translation whenever they use their own conceptual vocabulary rather than the language of those being described. Interpretation is prior to translation insofar as scholars are not simply swapping out words but attempting to restate in a new network of contexts what has been stated in some other network of contexts. Interpretation of this sort requires what we can call “synoptic understanding” on the part of scholars who attempt to stand like the Colossus of Rhodes in two different networks of contexts without one network violating the integrity of the other. Sometimes descriptive terms are sufficient for the linked task of interpretation and translation; other times, abstract categories are needed. Schilbrack notes that the “development and constant revision of abstract categories . . . is therefore a permanent part of the descriptive work in the study of religions” (181). Certainly the ongoing development and revision of descriptive categories with an eye fixed on multiple networks of contexts is a comparative activity. Indeed, comparison is intrinsic to the descriptive process tout court simply because description is necessarily partial. The virtue of a good description does not consist in its being an inventory of evenly weighted details. The goodness of a description consists in its selective arrangement of the right or best details; comparison is thus implied in any act of selection (and there we see the evaluative camel’s nose poking under the hem of the descriptive tent). In short, description is both comparative and evaluative all the way down. The process of making explicit particular normative claims, like all religious claims, is a comparative project. Let’s now turn to the activity of evaluating those now explicit normative claims. Recall the two arguments that evaluative inquiries should be excluded from the academy: first, because they are unscientific (i.e., they fail to produce knowledge), and second, because they are biased (i.e., they are uncritically value-laden). The claim that evaluation is biased takes two forms. First, taking normative claims seriously is tantamount to taking them uncritically. Second, evaluating normative claims invariably imposes value judgments (often disguised as disinterested or objective scholarly findings), not simply about the object of inquiry but the method and scope of inquiry as well. Regarding the first argument, Schilbrack argues that evaluation, while not scientific, nonetheless operates by “intersubjective and rational” criteria (192). He then provides two examples of evaluation in the classroom. The first evaluates the ethics of the bodhisattva vow (as described in Śāntideva’s Bodhicaryāvatāra) by applying the Kantian rule that the maxim expressing the intention of a moral actor must be universalizable in order for that act to be moral. The second example evaluates the monistic metaphysics described in Śankara’s commentary on the Brahma Sutra in light of Charles Hartshorne’s critique that such claims involve logical consistencies.5 Both examples take normative claims seriously and critically. Evaluation of this sort “can illuminate the implications and thus the intellectual costs of a given belief, practice, experience, or institution” and are thus appropriate for the academy as long as “they follow publicly available criteria of rationality” (192–93). Schilbrack observes that if evaluation according to public rational criteria is unfit for the academy, then so is the better part of philosophy as a discipline. As I read Schilbrack, his insistence on public rational criteria rebuts the two criticisms that evaluation, first, is biased (i.e., subjective) and, second, fails to produce knowledge. He does a much better job with the second criticism than with the first, as I see it. The problem with subjective bias is that it manifests as unexamined value commitments. Social scientists, for instance, like to toot their horns to the tune of “value-free” inquiry. In practice, however, value-free inquiries into religious phenomena are concerned primarily with the independence of the investigator from specifically religious value commitments, not from value commitments generally. Unlike comparison in description, value-freedom in inquiry does not go all the way down. Unexamined value commitments skew inquiry. This is true, however, for value commitments generally—religious values do not possess a special juju that distinguishes them from all other values. So what can be done about the problem of unexamined value commitments? Methodology is not sufficient. Plenty of scholars contest the idea that the work of social scientists is truly value-free, and many would go on to argue strenuously that the very idea of value-freedom is specious. I have already reviewed Schilbrack’s demonstration of the problems with the position that particular inquiries (such as evaluative inquiries into religious metaphysical claims) ought to be eliminated prior to investigation. The question remains, however, whether Schilbrack’s emphasis on public rational criteria sufficiently checks unexamined value commitments. Schilbrack argues that the academic study of religion should ultimately be distinguished from other ways of studying religion not by “excluding evaluative approaches but rather by excluding claims that cannot be challenged” (197). I would put the matter this way: Evaluative inquiries in the academy should be open in the sense that they must be reflexive. Any evaluative inquiry in all phases of investigation must necessarily remain vulnerable to criticism as a hedge against bias. Not only are the findings of evaluative inquiries exposed to criticism, but the method of inquiry itself, including any unexamined philosophical commitments, should be similarly exposed. The key point here is that open inquiry requires the deliberate cultivation of external criticism by a diverse public. The public in this sense comprises every discipline and angle of inquiry with an interest in the particular evaluative inquiry. Rich diversity in the public with respect to interests and perspectives makes for a stronger check on bias and distortion. These problems arise when inquiry is insular and shielded in some way from criticism—bias is like mold insofar as both thrive in dark, damp places. Criticism by a diverse public is the philosophical version of Lysol for the treatment of bias. My notion of open inquiry is roughly compatible to Schilbrack’s idea of public rational criteria. I think that one difference between the two turns on the meaning of public. In Schilbrack’s usage, public or intersubjective rational criteria function similarly to the Rawlsian idea of public reason. Evaluations are justified by way of reasons any reasonable person, regardless of her background, could accept. Public in this sense is hypothetical. Open inquiry is public in a concrete sense, insofar as the public is characterized by particular, diverse interests and perspectives, and is composed of anyone holding an interest in the inquiry, with interest cashed out in terms of discipline and angle of inquiry. Open inquiry becomes much like the convening of a sometimes raucous conversation between various disciplines and religious traditions. The practice of open inquiry, in short, is multidisciplinary, comparative, and interactive. The presence of a concrete diverse public has some advantages over the hypothetical public evoked by Schilbrack. For one, a diversified public is interested, while a hypothetical public is not. Put differently, a hypothetical public acts as a referee or umpire, something nonpartisan and above the fray. In contrast, a diverse public is entirely partisan in the sense that all parts of the public have an interest in inquiry; no one is above it. In open inquiry, truth claims are forced to struggle agonistically in order to become stable and sustainable in the long run. In certain respects I’m concluding my remarks at the point where they are starting to become interesting. But because we lack, in the poet’s words, “world enough and time,” I’ll briefly recap my argument. I started with the observation that the combination of two of Schilbrack’s signature recommendations—that philosophy of religion should reconcile with religious studies, and that a reconciled religious studies make room for evaluative inquiries—essentially opposed two groups of readers: philosophers of religion, who saw no need to reconnect with religious studies; and scholars of religion from a variety of disciplines, who on the one hand were fine with bringing their philosophical brethren back into the fold, but drew the line at the practice of evaluation. The problem with evaluation, according to these scholars, is that it smells too much like theology, and the problem with theology is that it is (according to whom you ask) either an unscientific or a biased form of inquiry, and for those reasons should be excluded from the academic study of religion. Schilbrack demonstrates that both horns of the exclusionary argument are flawed, and argues that a better resolution is to expand the scope of philosophy of religion by reconnecting with religious studies and subjecting normative religious claims to critical scrutiny like any other truth claim. He contends that an effective hedge against bias in the form of unexamined value commitments is to conduct evaluative inquiries using public rational criteria. I don’t really disagree with any of the above. My one difference with Schilbrack—and this is mostly a difference of emphasis—is that the idea of open inquiry that I sketch (and it’s admittedly little more than a pencil sketch) underlines the importance of a public diversified with respect to interests and perspectives, while Schilbrack’s “public” (which he uses interchangeably with “intersubjective”) shares certain resemblances with the Rawlsian idea of public reason. In both cases, this is the way we address the charge that evaluative inquiries are hopelessly subjective or shot through with value commitments of all sorts. Commitment to the idea of a concrete diversified public brings with it the accompanying commitments to multidisciplinary and comparative inquiries. In the spirit of Schilbrack’s irenic argument, I am not arguing that philosophy of religion must necessarily be multidisciplinary and comparative (though admittedly I see many advantages to the multidisciplinary, comparative approach). I would argue, however, that there are pragmatic advantages accruing to the notion of a diversified public when it comes to the charge of bias in the form of unexamined value commitments. But that’s an argument for another time. Godlove, Terry F. 2014. Kant and the Meaning of Religion. New York: Columbia University Press. Neville, Robert Cummings. 2006. On the Scope and Truth of Theology: Theology as Symbolic Engagement. New York: T. & T. Clark. Peirce, C. S. 1931–68. The Collected Papers of Charles Sanders Peirce. 8 vols. Vols. 1–6 edited by Charles Hartshorne and Paul Weiss; vols. 7–8 edited by Arthur W. Burks. Cambridge: Harvard University Press. Dawson agrees with me about the legitimacy of robust evaluation. He differs from me, however, on two points about how to do it. First, he claims that subjecting religious claims to evaluative scrutiny requires a larger role for comparison than I seem to allow.2 In the manifesto, I treat comparison as optional and ancillary: I wrote that we seek to compare religions so that we can understand them better; we don’t seek to understand them so that we can make comparisons. But Dawson argues that comparison is intrinsic to evaluation and so it deserves a more prominent place in our work. He points out, rightly, that when one develops any abstract category (like “sacrifice,” for example) one necessarily compares the disparate phenomena the category is used to interpret. And even when one describes some religious phenomenon in its particularity (saying that “this ritual involves two priests,” for example), one does not capture every aspect of the individual phenomenon but rather selects what one considers the relevant features and leaves others in the background, a comparative process. His argument is that comparison cannot be an afterthought but is central to all the tasks in the study of religion. These are legitimate insights, but there has been slippage here. When I say that philosophy of religion need not be “comparative,” I mean that a philosopher of religion can legitimately work on a single religious figure or tradition. One does not have to compare philosophies from multiple traditions to do philosophy of religion. Dawson’s observations about the comparative aspect of all concepts, though accurate, do not contradict that. The discipline of philosophy of religion and that of comparative religions remain a Venn diagram. The second point of contention concerns the criteria by which evaluations would be made. In the manifesto, I hold that the criteria for the academic study of religion need to be intersubjective: scholars in the academy cannot justify a claim that the teachings of one religion are true by appeal to a private revelation or an un-shareable intuition. The criteria must in this sense be public. Dawson says that my view of the public “functions similarly to” the view that the only justified evaluations are those to which “any reasonable person” would agree. Like John Rawl’s understanding of “public,” my view, he says, implies that the philosopher is “nonpartisan and above the fray.” A better view, he says, would be one that treats an inquiry as “public” not merely in this hypothetical sense but rather in the concrete sense that it permits participation from the real public, that is, all interested participants along with all their divergent perspectives and commitments. I like Dawson’s idea of open inquiry and I agree with it. The requirement that criteria be shareable means that they cannot be private, but it does not follow that they can be shared with every reasonable person. I don’t hold that philosophy must find a starting point which all rational inquirers would endorse (and Dawson does not point to any signs of this in my work). On the contrary, my view is that, just as critical theory does not attempt to be “neutral,” philosophy of religion can begin from the standpoint of a given community or tradition. But again, I think that there has been slippage, this time from the question about the criteria that a group of people should use to adjudicate an issue to the question about who is in the group. That is, even if we agree that those who evaluate religions will always be partisan, that does not answer the question regarding how they make their evaluations. I judge that there are criteria that any reasonable person would agree to (such as the law of non-contradiction), but those criteria are surely too thin to settle questions about the truth of religious claims or the morality of religious practices (cf. Dean 1995; ch. 4–5). This therefore remains an issue on which philosophers of religion need to work: how do we argue constructively with each other, given that our normative criteria reflect our diverse ways of life? The good news is that this philosophical question is becoming central both to the future of any philosophy of religions that works across traditions and to the concerns of everyone who is aware of how quickly the world is shrinking. Dean, Thomas, ed. 1995. Religious Pluralism and Truth: Essays on Cross-Cultural Philosophy of Religion. Albany: SUNY Press.